An article appeared in the Guardian on Sunday 4th November 2018 entitled Who would want to kill a lion? Inside the minds of trophy hunters. The article includes excerpts from interviews with a number of ‘big game hunters’, and provides them with a platform by which they try to justify their desire to kill animals, often at considerable financial expense. Unfortunately (and unusually for the Guardian) the article fails to critically examine the hunters’ claims, or explore their motivations in any detail. Even a superficial examination of the facts surrounding trophy hunting reveals the flaws in the justifications provided. Trophy hunting is predominantly the preserve of wealthy individuals from the developed world, who pay large fees and costs for the ‘privilege’ of killing iconic wild animals for their own gratification, and presumably to impress their peers. In their attempt to justify these narcissistic motivations, proponents claim that trophy hunting benefits wildlife conservation, by giving wild animals a monetary value thereby providing local people a reason to tolerate them, by removing surplus or problem animals, and by generating income which can support wildlife protection and conservation efforts. But the evidence for these claims simply doesn’t stack up. Research consistently shows that while individual hunters may well pay high fees, the total amount generated is tiny compared to alternative sources of income from wildlife tourism, and that little if any really filters down, with trophy outfitters, foreign agencies, and corrupt officials pocketing much of the proceeds. Trophy hunters typically covet the most impressive animals with particular traits such as the biggest, darkest manes or the longest tusks. Far from being surplus or problem animals, the targets are often key individuals within their societies and their death at the hands of the hunters can have wide ranging and devastating impacts on the stability of animal populations and the wider ecology. 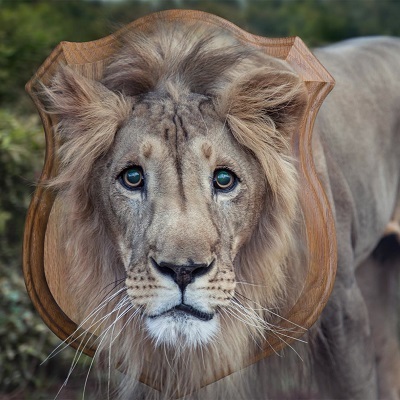 Trophy hunting is rarely if ever truly sustainable, with animal populations being manipulated and quotas set to maximise profits, recommended age-based and area-based limitations rarely being adhered to, and hunting levels often exceeding quotas. Quota systems themselves assume that practice will match the behaviour modelled on paper, but to be effective they require codes of practice, enforcement, policing, penalties and oversight, which are rarely if ever applied. Perhaps most importantly of all, far from being a ‘fair competition’ between hunter and hunted, trophy hunting is entirely one-sided and cruel, with many instances where target animals are wounded by the paying client, to crawl away and die in agony, or to be finally killed after an often prolonged pursuit by a ’professional hunting guide’. Trophy hunting is an outdated relic of a colonial-era obsession for killing wildlife for sport. It has no place in modern society, and certainly no role to play in any Compassionate Conservation programme. Wildlife conservation needs to recognise that every animal counts, and to find ways of funding conservation that do not involve more killing. There can be no ‘sustainable offtake’ of declining wildlife populations, and if they are truly motivated to protect wildlife, those lucky enough to have sufficient disposable funds to pay for trophy hunts should desist from killing an animal and instead donate the funds to bona fide, truly compassionate projects aimed at benefitting wildlife and the human communities that live alongside.